Thanks to the extraordinary support of H-E-B, more than 35 medically underserved Southeast Texas women received free clinical breast exams and mammograms from the Julie Rogers “Gift of Life” Program. For more than 100 years, H-E-B’s community involvement has been a core tenet of its successful business practices, supporting such initiatives as the H-E-B Food Bank Assistance Program and the Spirit of H-E-B trailer, which provides on-site relief in areas devastated by natural disasters. Always keeping an ample amount of goodwill in stock, H-E-B embraces causes that support education, hunger awareness, economic opportunity development, recreation, research and the arts. Calling it a “Spirit of Giving,” H-E-B annually contributes five percent of pre-tax earnings to public and charitable programs since the 1930s, favoring local non-profit organizations that make a visible and positive difference in the community. 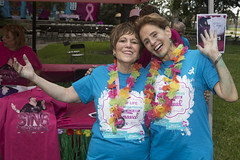 H-E-B has shared a personal passion for cancer prevention, education and services for the medically underserved in Southeast Texas by sponsoring numerous Gift of Life events and initiatives for the past 15 years. 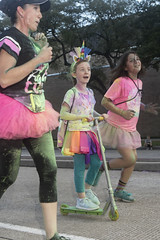 Since 2011, H-E-B has generously co-sponsored the Gift of Life’s Julie Richardson Procter 5K Ribbon Run and donated refreshments to participating runners and volunteers. 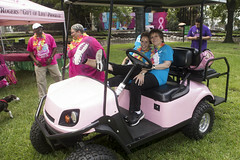 The company also makes available free prostate cancer screenings for hundreds of men at Gift of Life screenings and sponsors a Gift of Life Mobile Mammography Van Site, which has provided nearly 100 free clinical breast exams and mammograms for medically underserved women. To date, the company’s sponsorship has led to the diagnosis of prostate cancer in four men, with treatment costs entirely underwritten by the Gift of Life, and breast cancer in one woman, who was navigated through treatment. 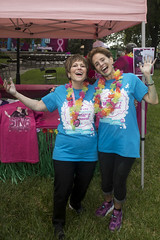 Thanks to the extraordinary support of the Wilton P. & Effie Mae Hebert Foundation, nearly 35 medically underserved Southeast Texas women received free clinical breast exams and mammograms from the Julie Rogers “Gift of Life” Program. Founded in 1985, the Hebert Foundation strives to further the inspiring legacy of Wilton and Effie Mae Hebert, a family compassionately dedicated to serving the less fortunate in the community. As a lasting testament to their extraordinary influence, the Hebert Foundation continues to bless the lives of those in need. By making available grants to local charitable organizations, the foundation fortifies the well-being of countless Southeast Texans who benefit from its benevolence. 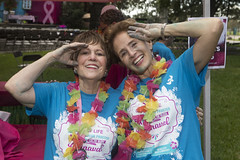 For more than 15 years, the Hebert Foundation has impacted the lives of medically underserved women and men through its continual support of the Gift of Life’s free mammogram and prostate cancer screening programs. 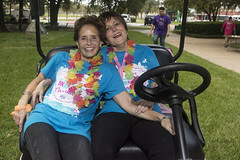 Since 2000, the Hebert Foundation has annually sponsored two Gift of Life van sites, providing nearly 1,000 free mammograms and helping extend the lives of four women who were diagnosed with breast cancer at Hebert Foundation-sponsored sites and navigated through treatment. Additionally, thousands of men have received free prostate cancer screenings at Gift of Life events sponsored by the Hebert Foundation and other generous contributors. This year the Gift of Life presented its Julie Rogers Corporate “Spirit of Love” Award to the Hebert Foundation for its community leadership and shared mission of providing vital healthcare for individuals in need. More than 1,400 guests celebrated the Gift of Life’s 20th Anniversary at its Legacy of Love Concert: Oh, What a Night! featuring iconic pop group, Frankie Valli and the Four Seasons. Prior to Frankie’s performance, Zereana Jess-Huff, Ph.D., Mrs. Maryland America, addressed the audience to share her story of survivorship from ovarian cancer. Additional highlights from the night included the presentation of the prestigious Julie Rogers Corporate “Spirit of Love” Award to the Wilton P. & Effie Mae Hebert Foundation, represented by President James Black and trustee Joe Vernon, for its community leadership and shared mission of providing vital healthcare for medically underserved individuals. Gift of Life Founder and Chair Regina Rogers was joined on the stage by Executive Officers Nell Morris, Marty Craig, Linda Domino, Donna Harris, Dora Nisby and Paula O’Neal to present the award. “We are deeply grateful to the Hebert Foundation trustees, James Black, Joe Vernon and Catherine Bruney, who is unable to be here tonight, for their caring hearts and benevolent support that have helped us provide thousands of breast and prostate cancer screenings throughout Southeast Texas during the past 15 years and extend the lives of countless individuals who have been diagnosed with these diseases,” Rogers said. The Gift of Life’s 20th Anniversary Concert celebrated the organization’s lifesaving services throughout the region. 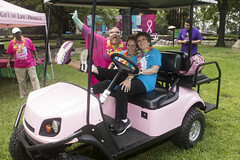 The event was anonymously underwritten by a generous supporter so that all funds raised could benefit the Gift of Life’s breast and ovarian cancer awareness initiatives.